The funeral Service for Arnold Edward Severson, 90, of rural Hayfield, MN will be at 11:00 A.M. on Tuesday April 16, 2019 at South Zumbro Lutheran Church in Kasson, MN with Rev. Eldon Simonson officiating. Burial will follow in the Evanger Lutheran Church Cemetery in Sargeant,MN. 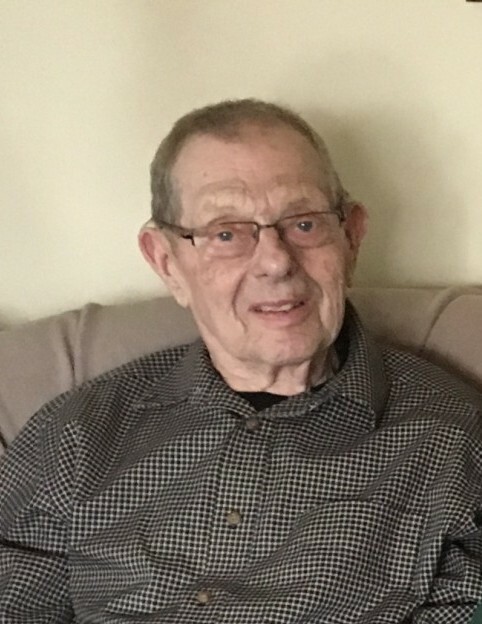 Mr. Severson died on Friday April 12, 2019 at his home. Arnold Edward Severson was born January 1, 1929 in rural Byron to Edward and Alma (Jensen) Severson. He was baptized and confirmed at Evanger Lutheran Church in Sargeant, MN. On September 7, 1951 he married Doris Witzel. The couple farmed several years and then started a farm/auto repair business. Arnold worked in his shop until the day he passed away. Arnold enjoyed antique tractor and engine shows, especially displaying his own tractors and model engines. Arnold was an active member of Evanger Lutheran Church most of his life and served on the church counsel. He and Doris are current members of South Zumbro Lutheran Church. Arnold enjoyed visiting with friends in his shop and having coffee. Arnold is survived by his wife Doris, his son - Allan (Harriet) of Blooming Prairie, his 2 daughters - Carol (Gerald) Schmidt of North Mankato and Nancy (Steve) Olson of Waterville; 8 grandchildren Dr. Shawn Severson, Rachel Flanders, Valerie Braaten, Luke Severson, Marcus Schmidt, Courtney Kramlinger, Trisha Olson and Craig Olson; 8 great- grandchildren – Aidan, Soren, Avery, Cale, Owen, Miles, Selah and Hannah; 1 sister - Lorraine Christie of Stewartville,MN and one brother - Francis Severson of Grand Meadow,MN. Arnold was preceded in death by his parents.